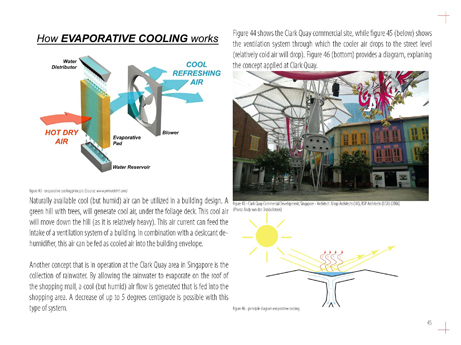 Singapore’s hot humid climate limits the succes of passive design principles to improve human comfort in the built environment. 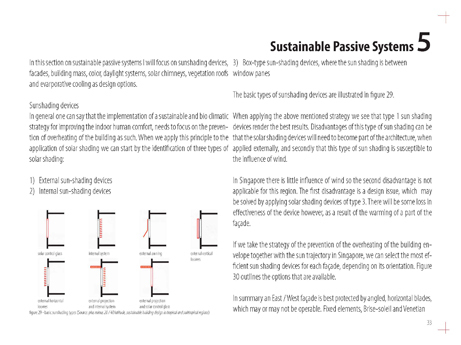 This booklet was made as part of the Technology in Sustainable Development curriculum. 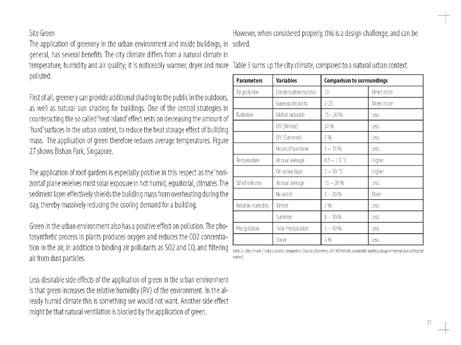 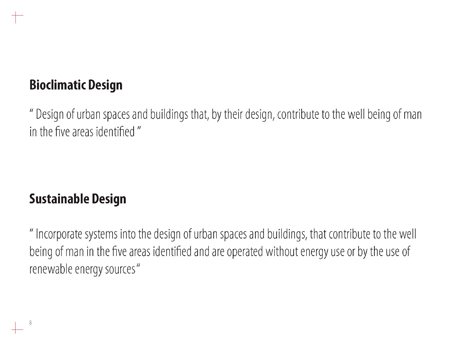 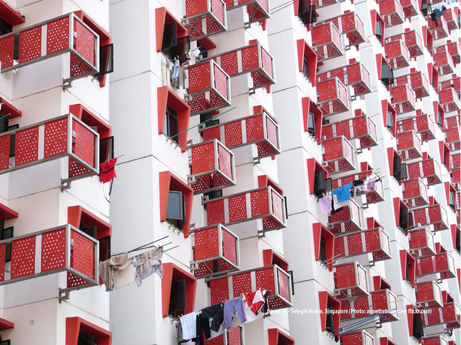 The key research question addressed was how human comfort in the urban context and within the building envelope can be improved or managed by applying selected Bioclimatic, and passive / active Sustainable Design principles. 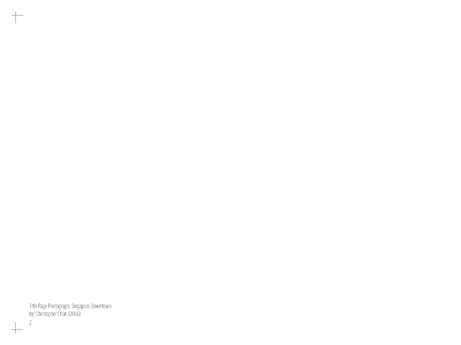  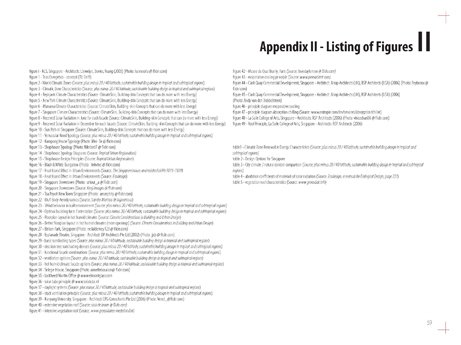 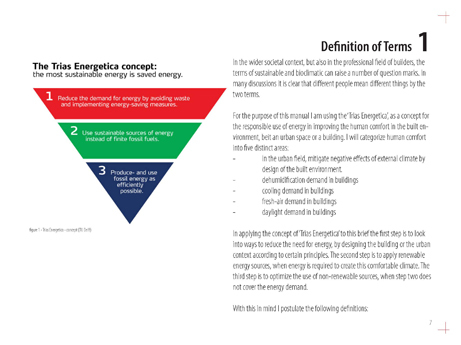 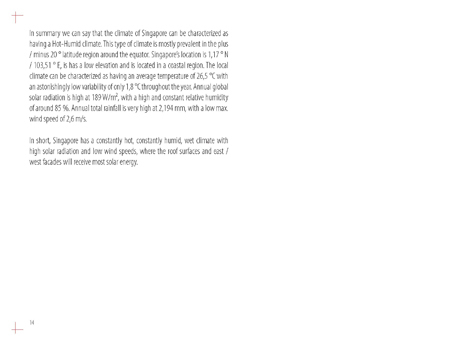 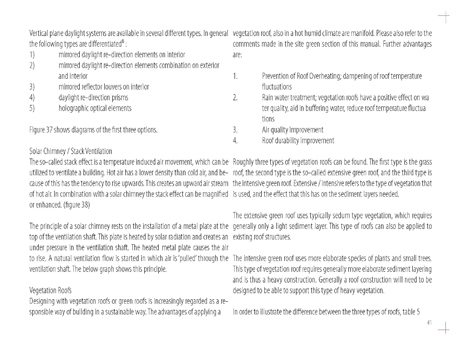 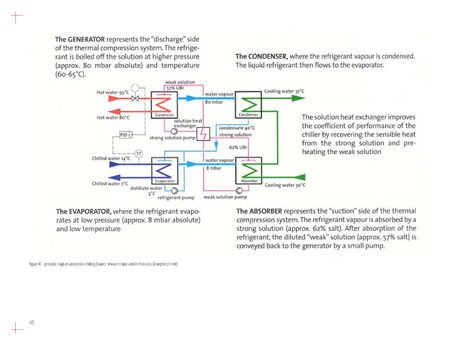 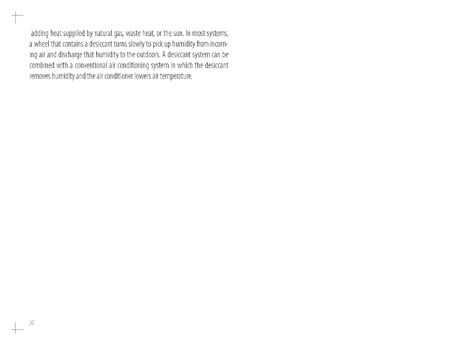 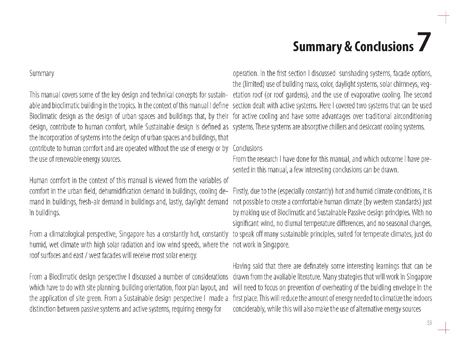 These principles are reviewed in the context of the Singapore climate, which can be described as a constantly hot (i.e. 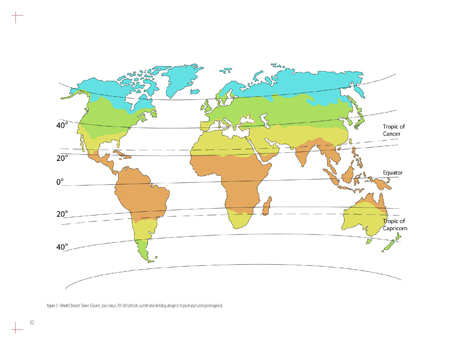 no diurnal nor seasonal temperature differences) and constantly humid climate, with a lot of rainfall, high solar radiation and low average wind speeds. 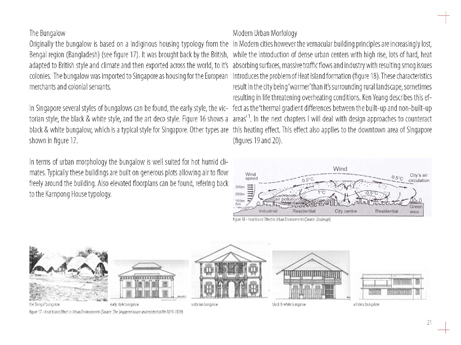 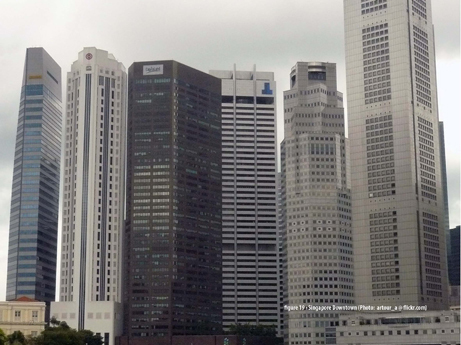 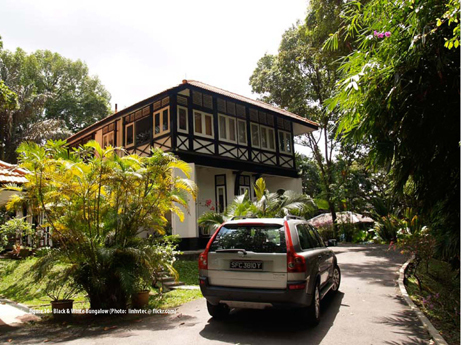 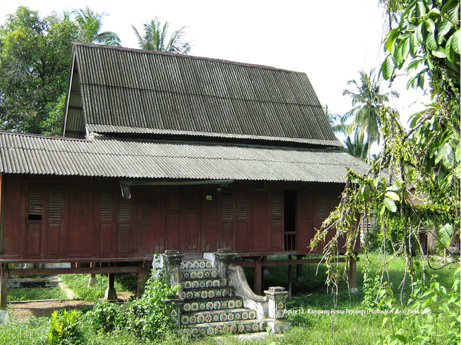 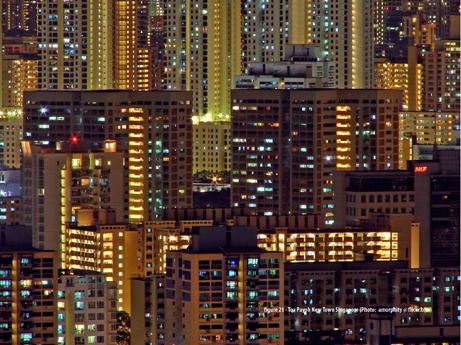 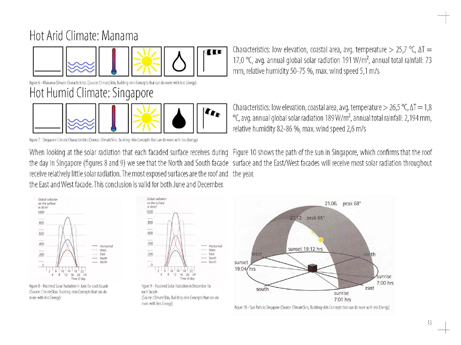 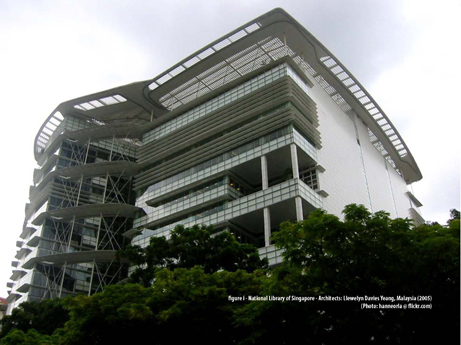 Given the geographical location of Singapore on the equator, the east and west facades and the roof are typically most solar exposed. 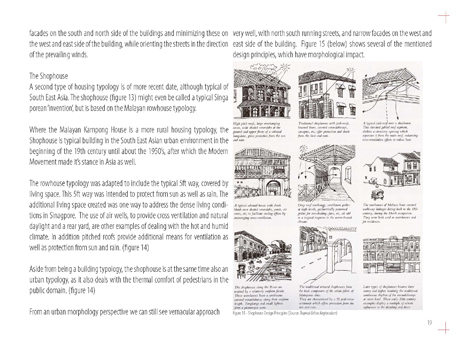 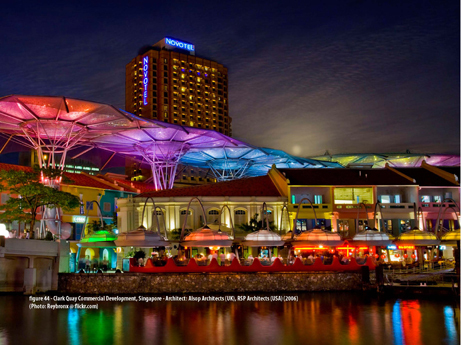 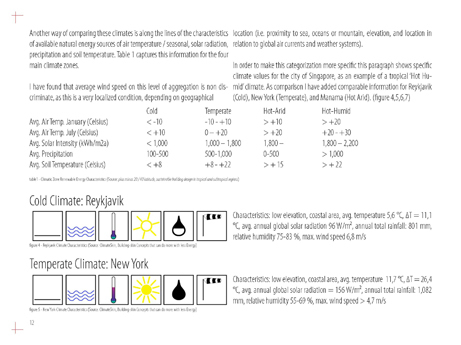 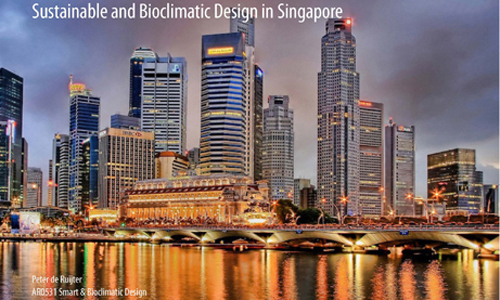 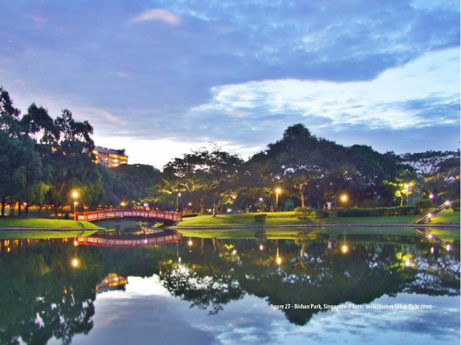 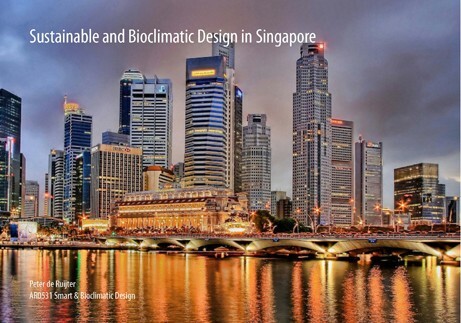 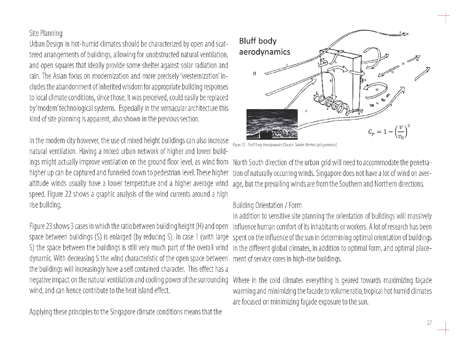 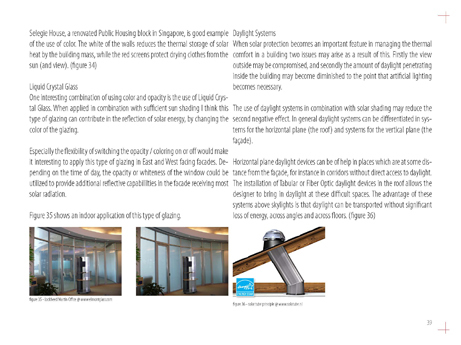 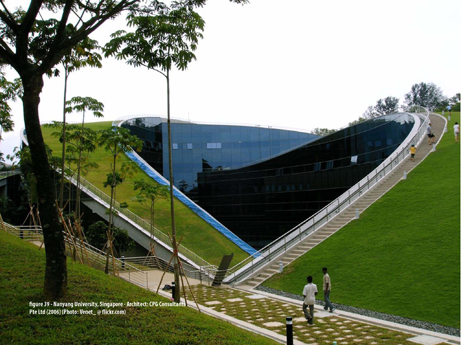 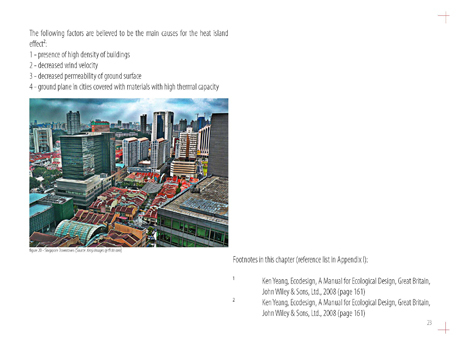 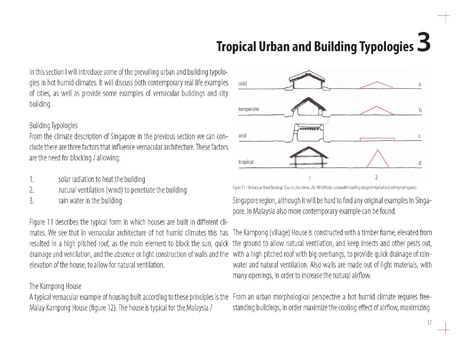 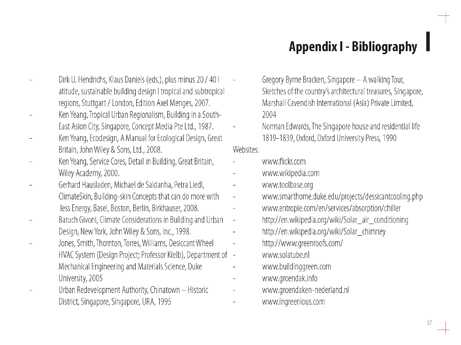 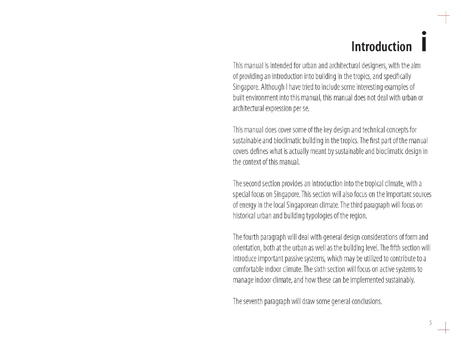 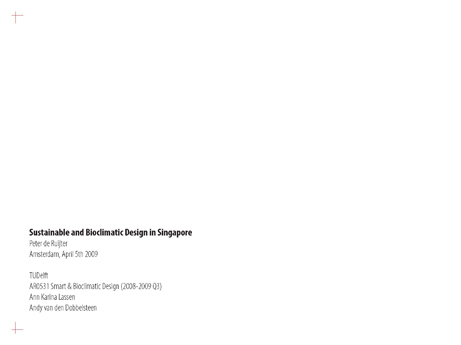 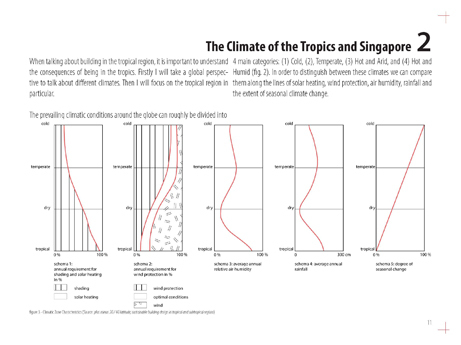 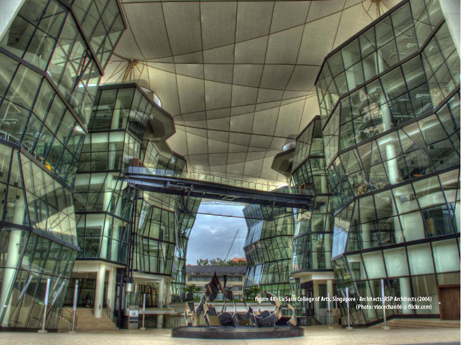 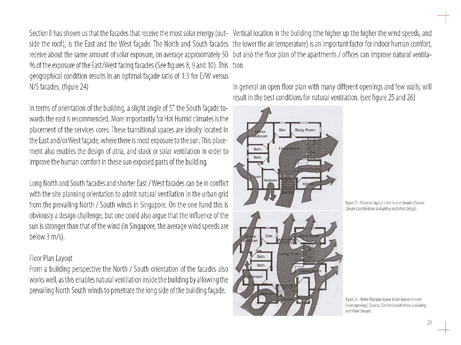 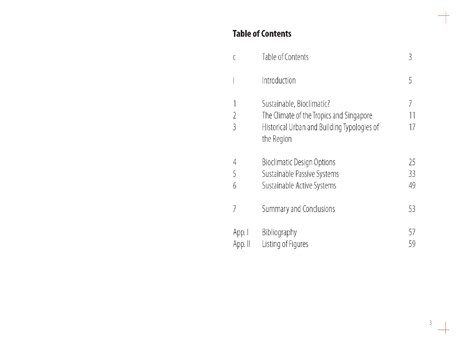 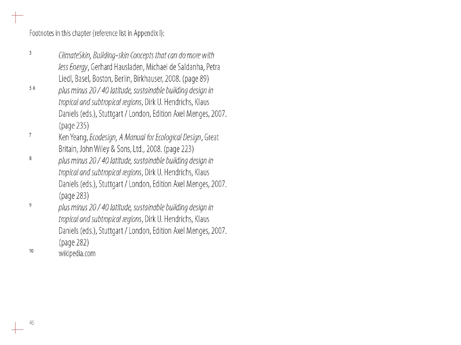 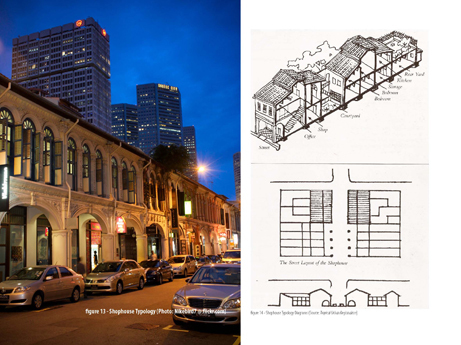 The conclusion of this research is that due to the climatic conditions, many passive sustainable design principles, suited for temperate climates, just do not work in Singapore. 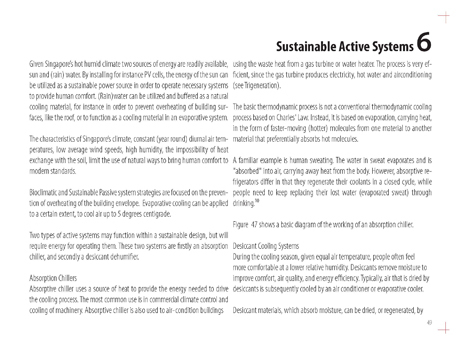 In order to create a (western) cool interior of a building, active sustainable cooling systems will be necessary. 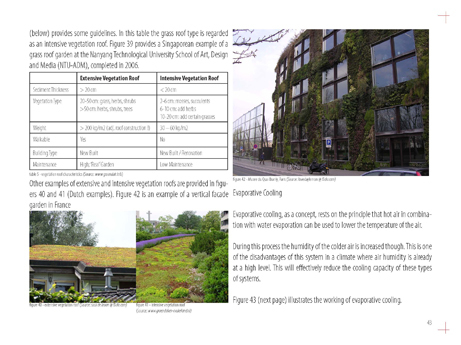 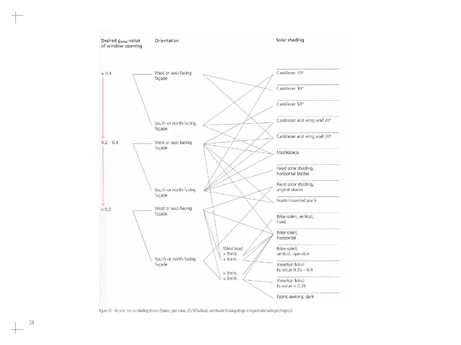 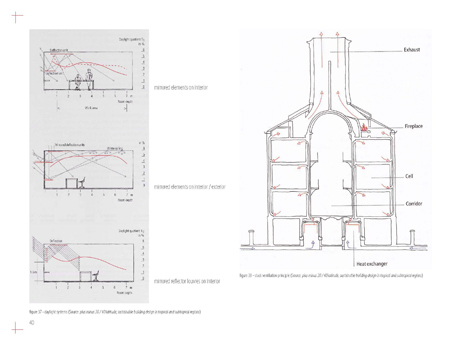 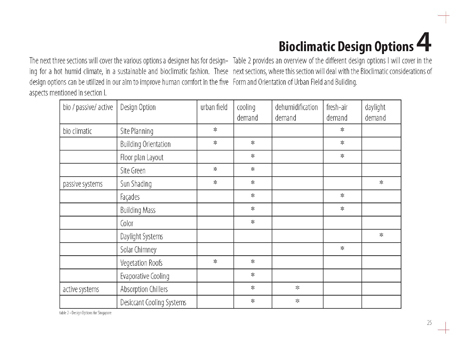 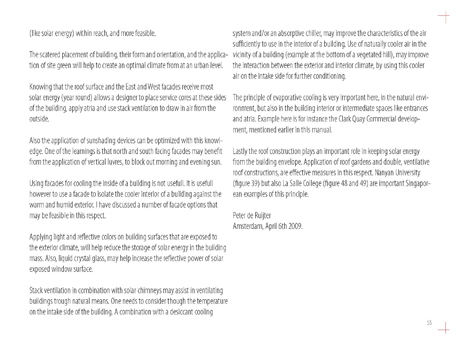 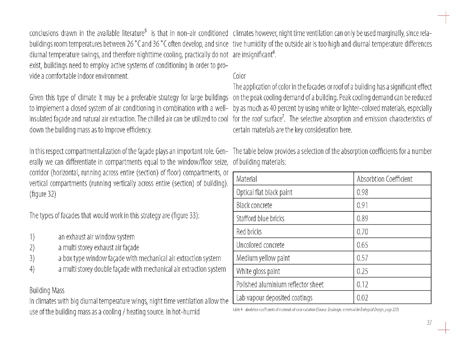 Bioclimatic design principles are effective, and need to focus on preventing the building envelope from overheating in the first place. 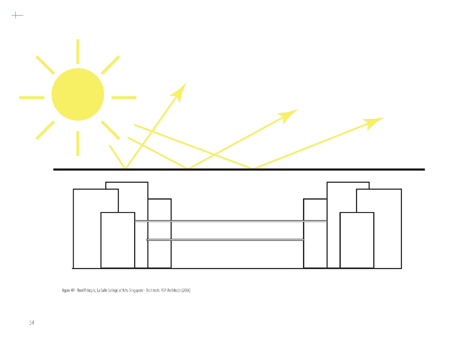 The scattered placement of buildings, their form and orientation, and the use of site green will create an optimal climate at an urban level. 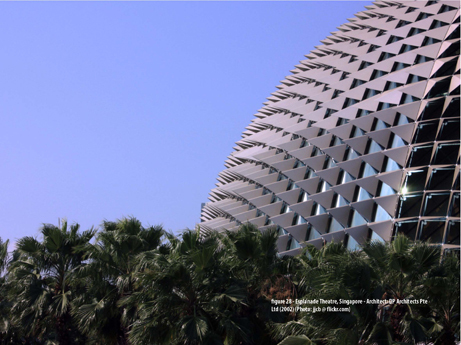 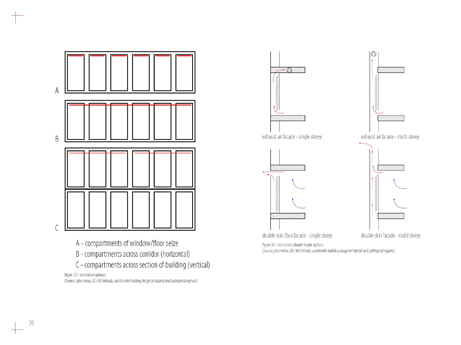 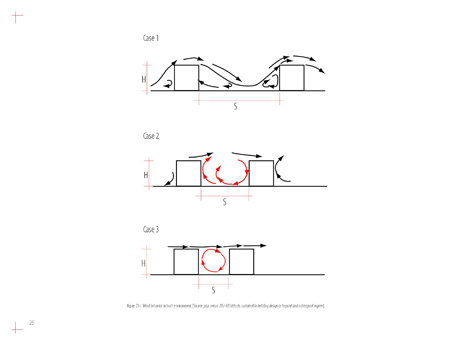 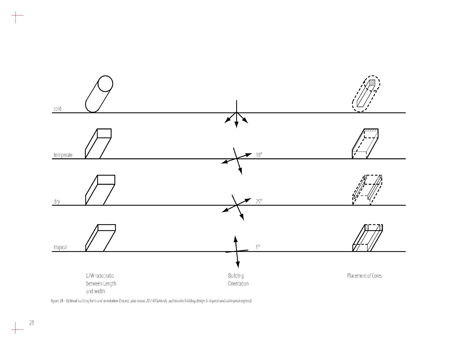 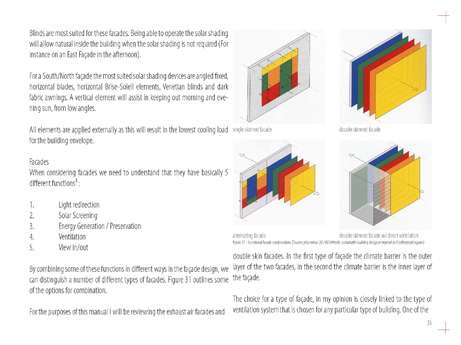 On a building level solar shading devices, stack ventilation in combination with evaporative cooling, roof gardens or double, ventilative roof constructions are worth mentioning.